Just days before their matchup on Thursday Night Football – several members of the Dallas Cowboys have been letting the world know that they are not scared of the 10-1 New Orleans Saints. The Saints sport a potent offense that include the likes of Drew Brees, Alvin Kamara, and Michael Thomas that will come into AT&T Stadium Thursday night highly motivated. 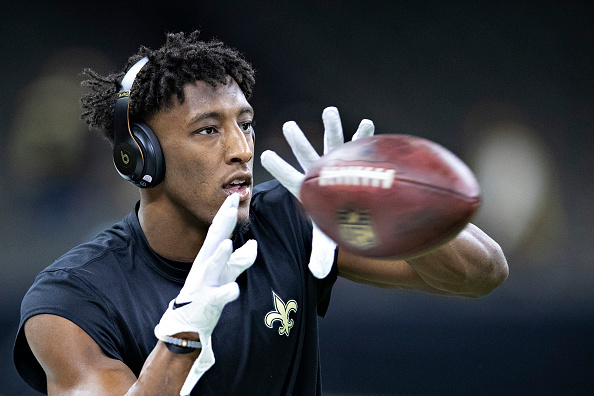 After hearing the comments from Dak and DeMarcus — Saints wide receiver Michael Thomas took to Twitter and sent a stern warning for the Cowboys to keep quiet. No, DeMarcus Lawrence, just no. They're already explosive enough without provoking them.